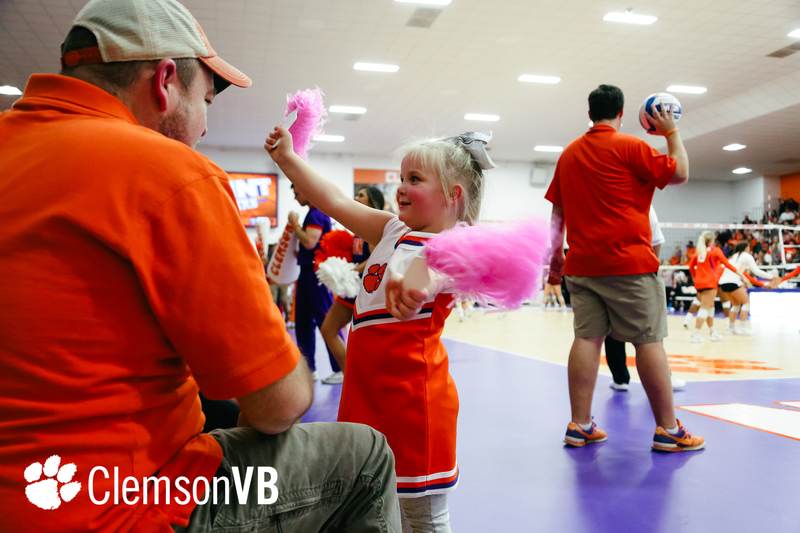 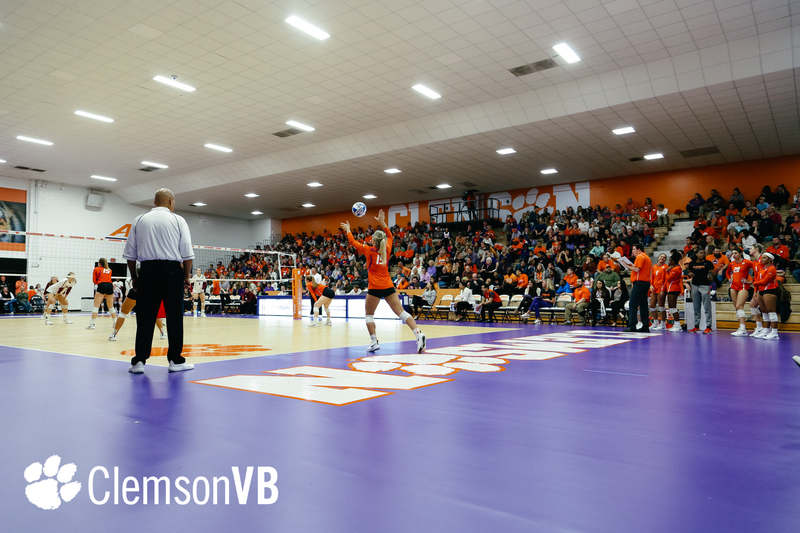 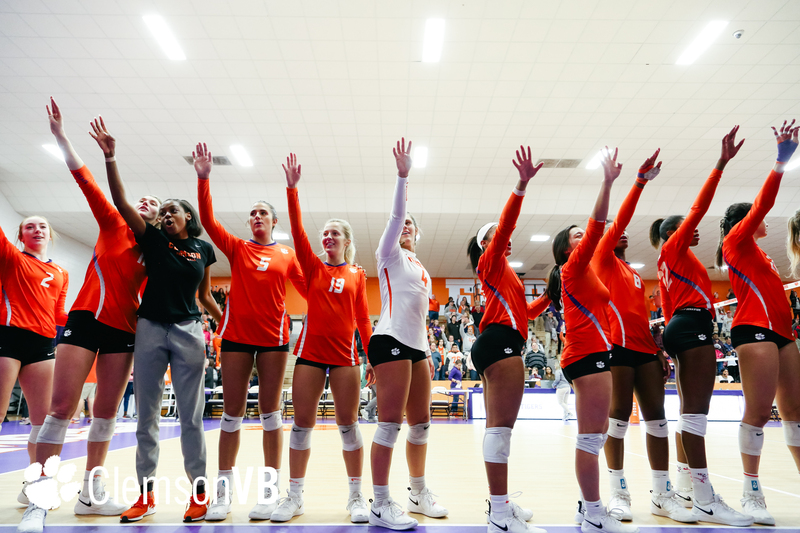 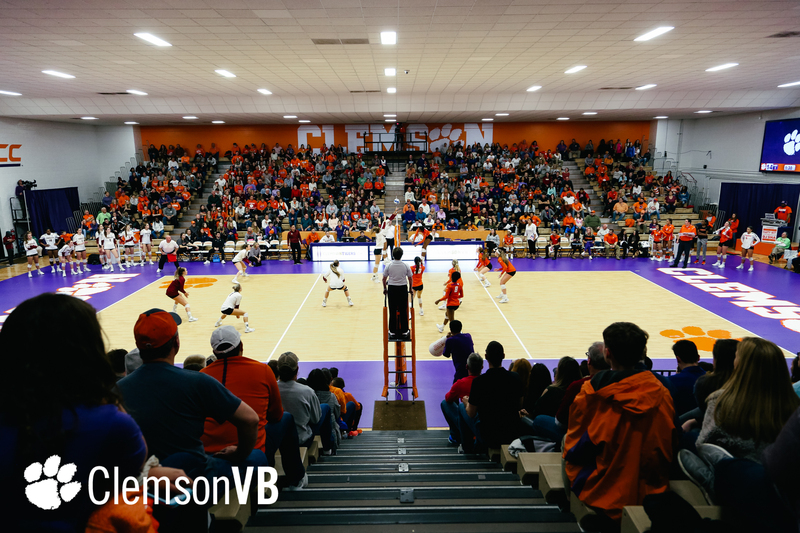 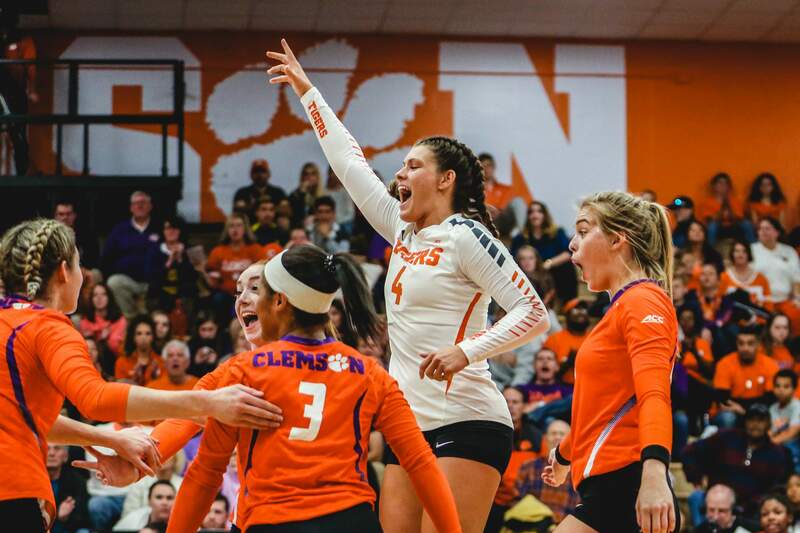 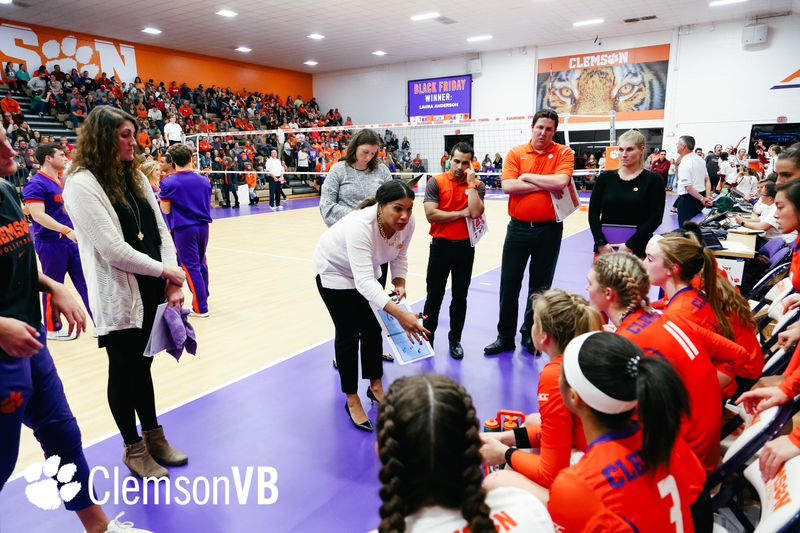 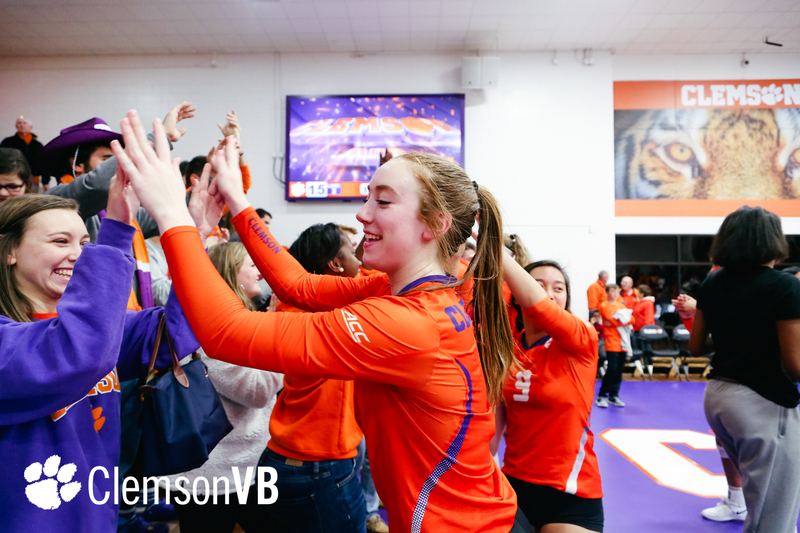 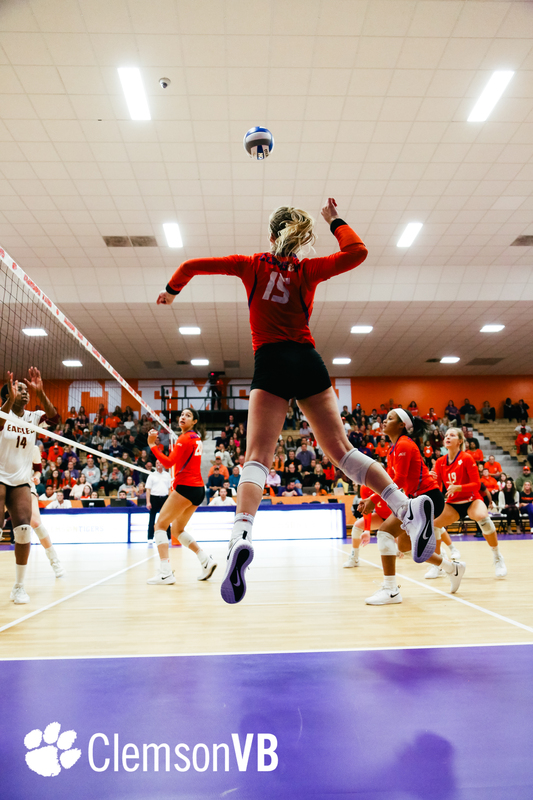 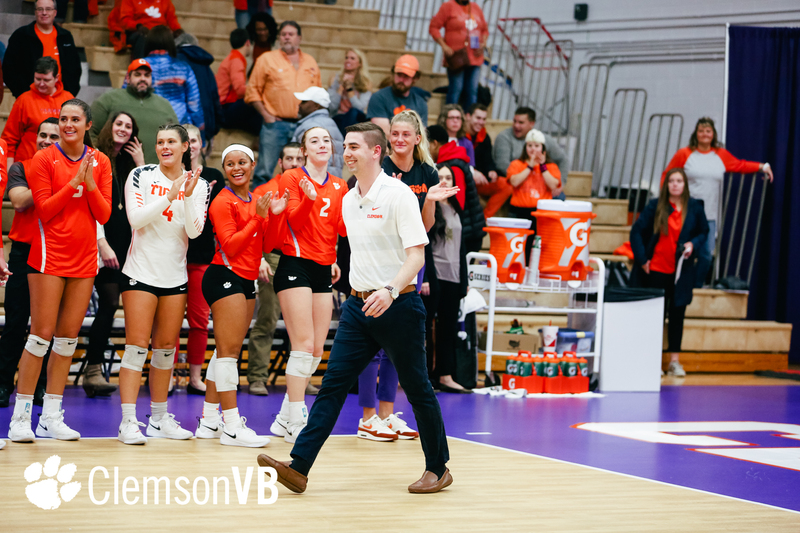 CLEMSON, S.C. – The Clemson volleyball team (17-14, 8-10 ACC) concluded its 2018 regular season in dramatic fashion, topping Boston College in five sets (25-18, 21-25, 15-25, 25-23, 15-10) Friday evening in Jervey Gym. 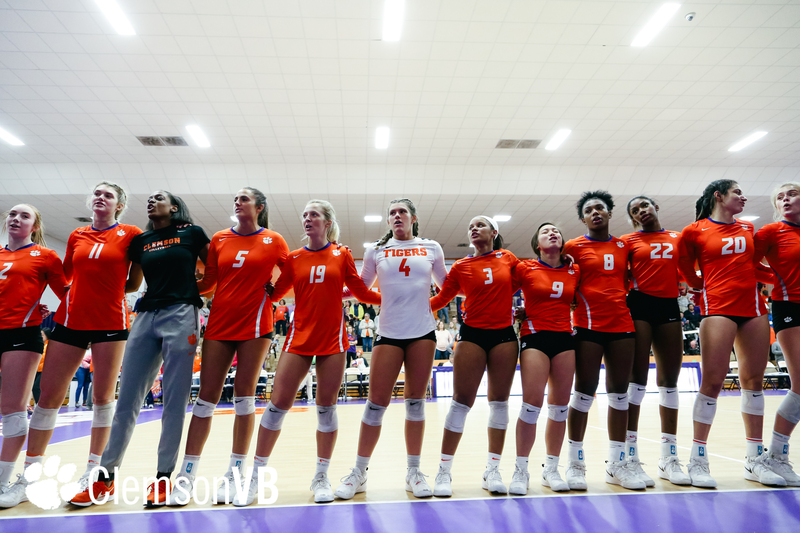 Despite dropping sets two and three, the Tigers were able to rally, winning the final two sets of the match to secure their 17th victory of the season. 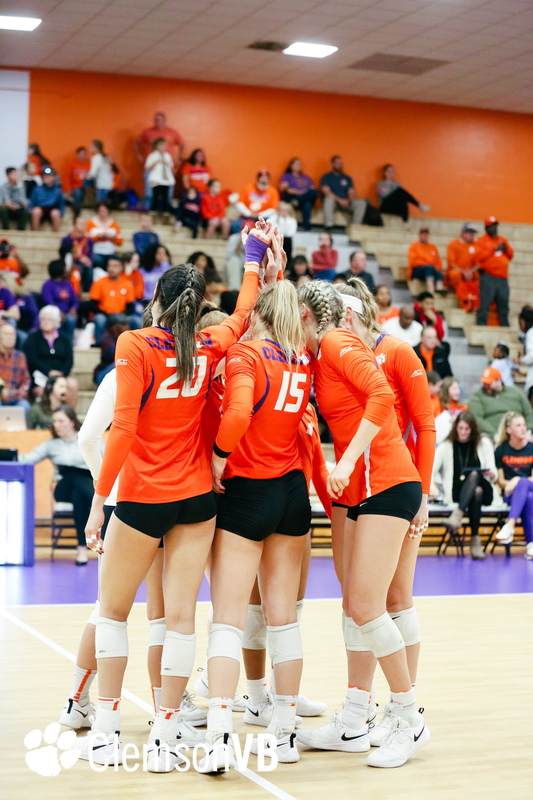 With the win, Clemson achieved its best overall record of 17-14 since 2014. 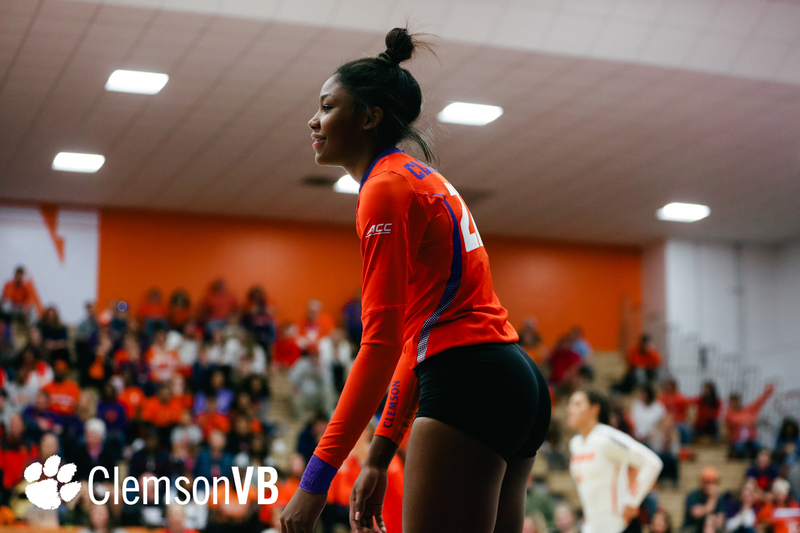 Additionally, Tigers Brooke Bailey (18), Solei Thomas (15) and Alyssa Deloney (15) combined for 48 of the Tigers’ 65 kills. 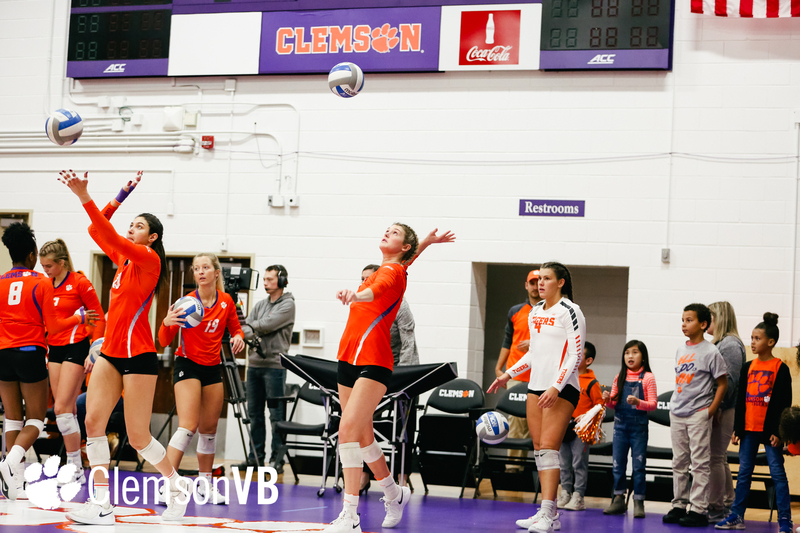 Bailey and Deloney heated up early in the match as the duo combined for 11 kills in the opening set, which Clemson won 25-18. 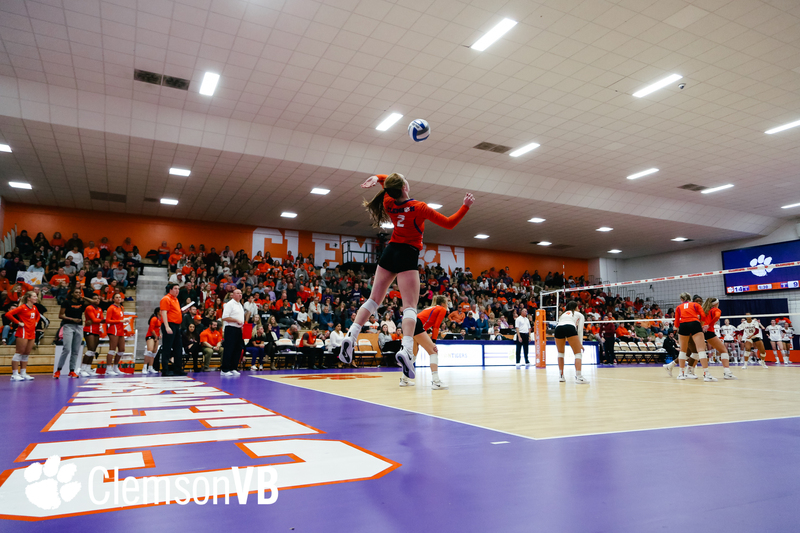 The Tigers would drop the next two games after being out-hit in both sets by Boston College, .316 to .162 and .237 to 0.50, respectively. 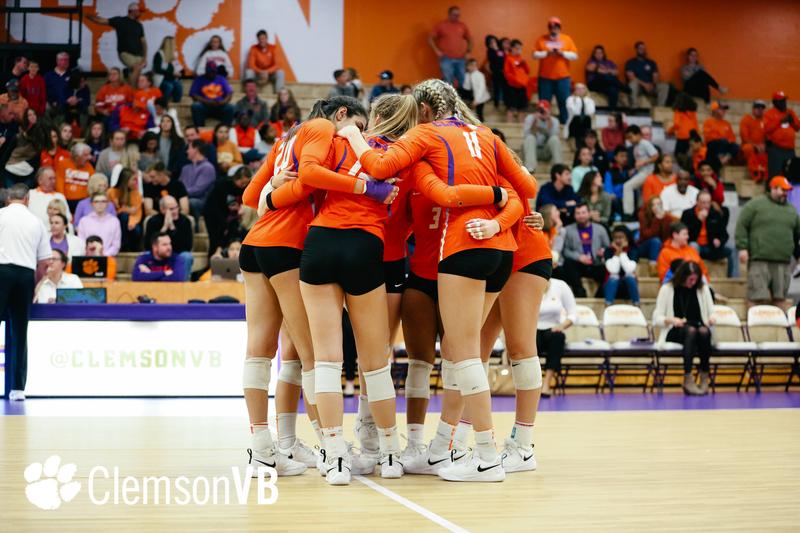 The Tigers swung momentum their way in the fourth, fending off a late-set Eagle comeback attempt as BC tallied seven straight points to take 22-20 lead. 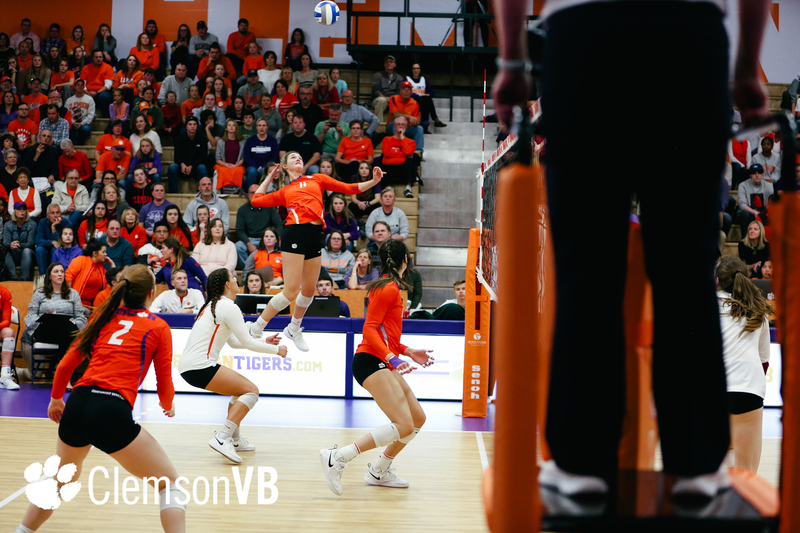 A kill by freshman Ashtynne Alberts, who totaled four kills in game No. 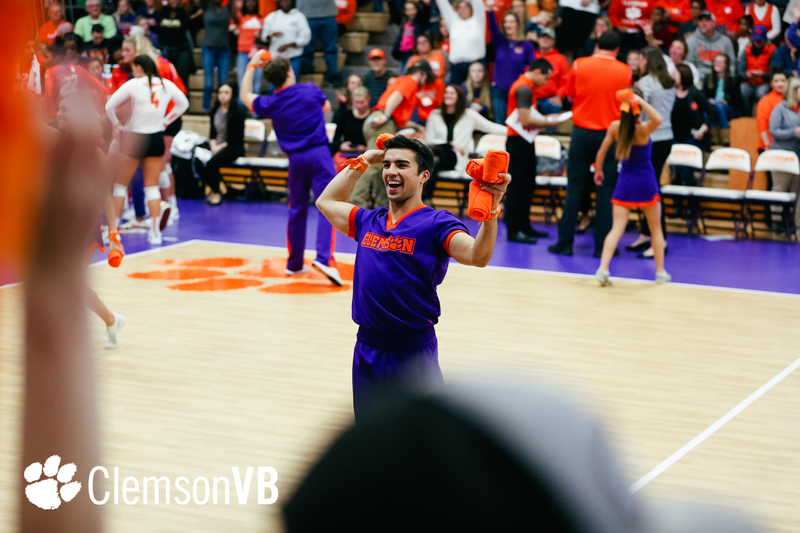 4, disrupted the Eagles’ run. 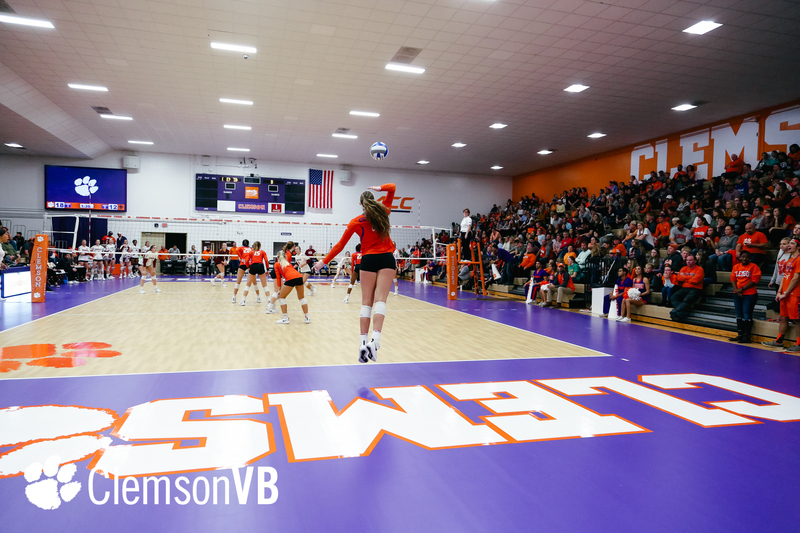 The Alberts kill sparked a 5-1 Clemson run to end the set a deciding fifth game. 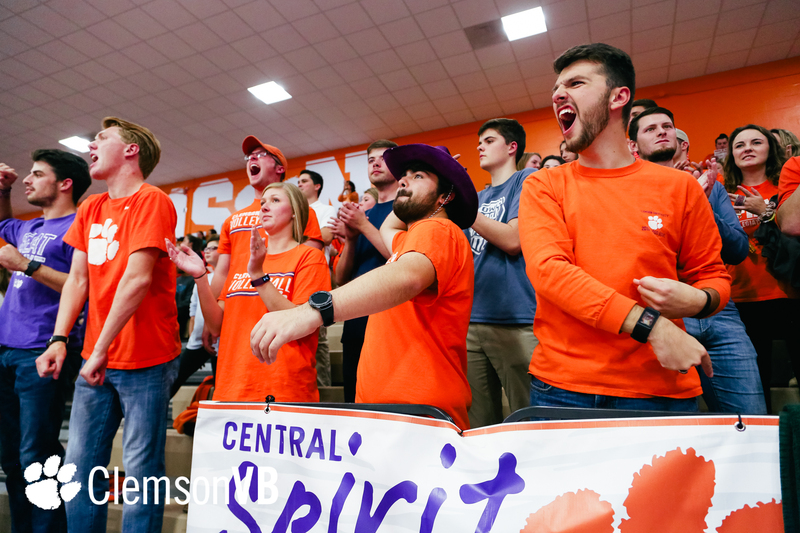 Clemson carried its momentum into the fifth, jumping out to an 11-5 lead. 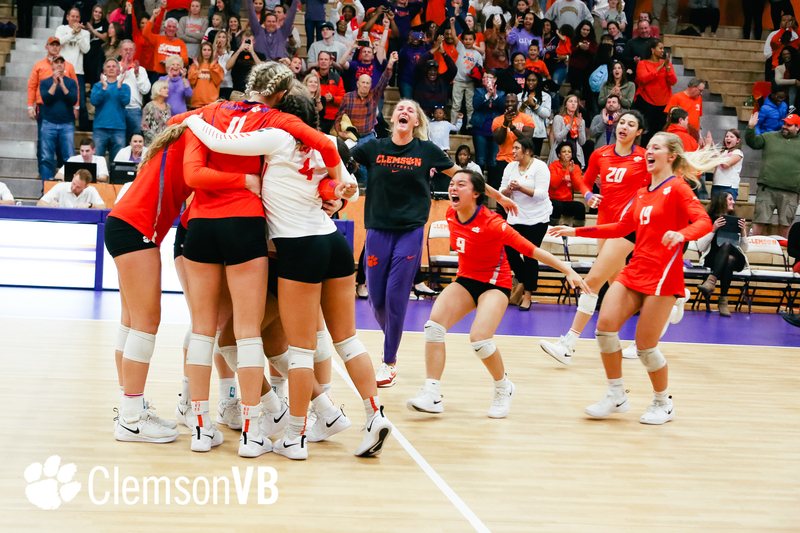 BC would press the Tigers again, cutting the Clemson lead to three points [13-10], but back-to-back Bailey kills sealed the match in favor of the Tigers, while also giving them their eighth home win of the season. 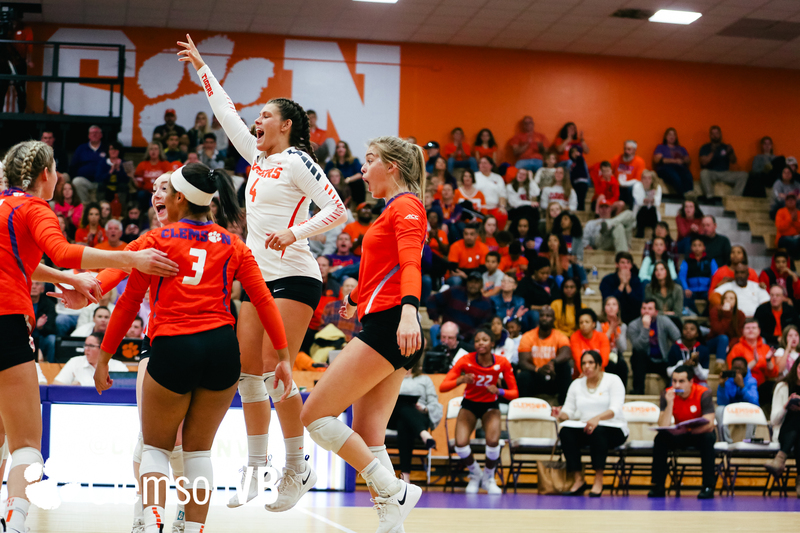 Freshman setter Gabby Easton posted her second-best assist performance of the season of the season with 57 assists, which is also the most for Easton against an ACC foe this year. 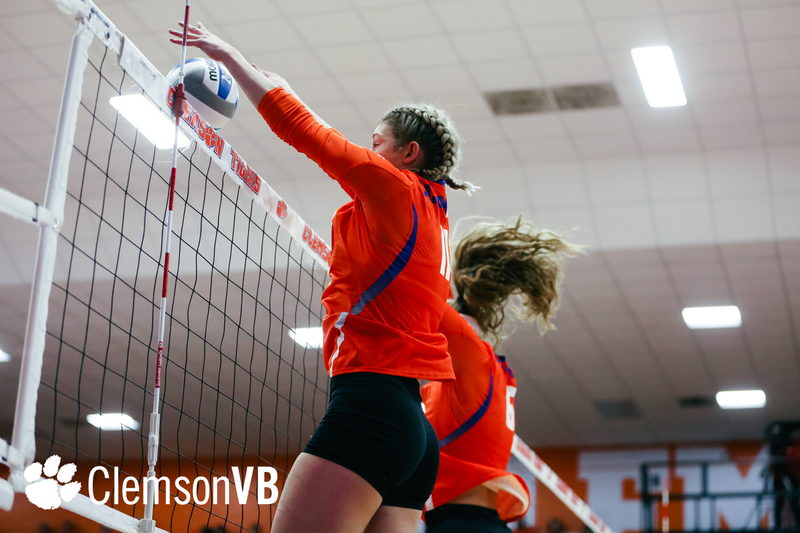 Junior libero Emily Curtis totaled a team-high 14 digs. 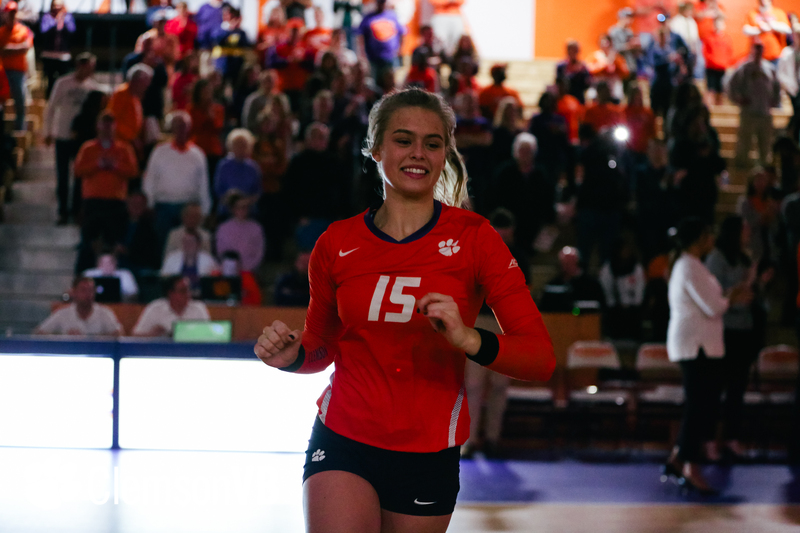 Additionally, defensive specialists Madi Howell and Torie Frederick both reached double-digit digs. 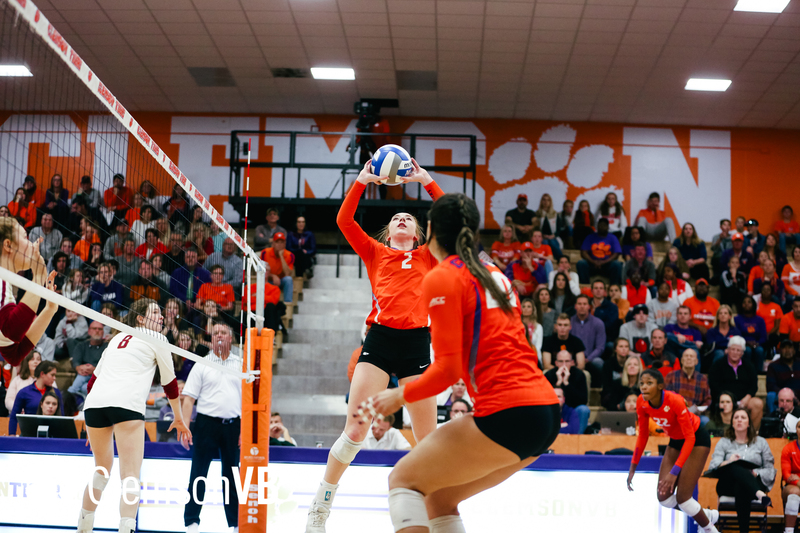 Howell finished with 14 digs, while Frederick recorded 11 digs.